Although The DJ Firm specializes in providing top-notch DJ’s for all weddings, corporate events and private parties, we also offer production set-up for all event types. 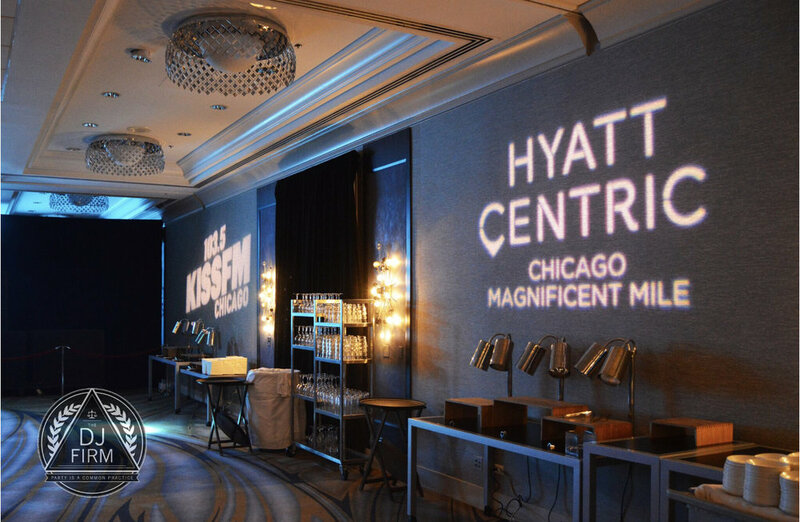 In this instance we teamed up with 103.5 Kiss FM and Hyatt Centric Hotels to offer an exclusive Flo Rida performance to some of 103.5 Kiss FM’s biggest listeners and as a way to promote the newest location of the Hyatt Centric Magnificent Mile. With our own in-house equipment, plus our own private team of tech guys, we are prepared to set-up for any event big or small. Contact us today!